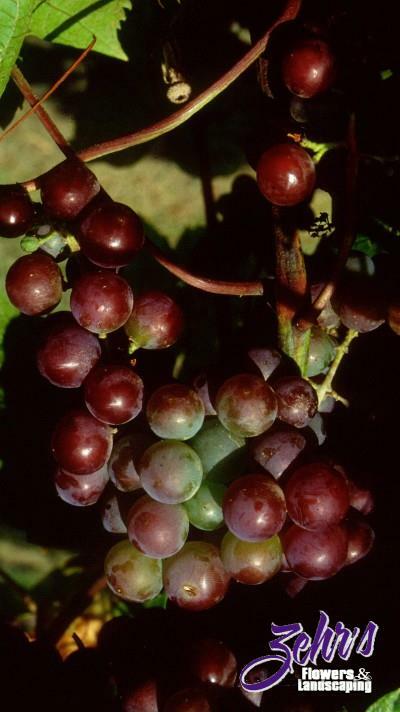 A seedless table or juice grape with excellent flavor. Vigorous and bears heavily small, tight clusters of small, deep red berries. Earliest high quality seedless, berries are edible at pink stage in August, but are sweeter and more flavorful if left to ripen to full red.